I finally finished the Shark in the Park storysack! 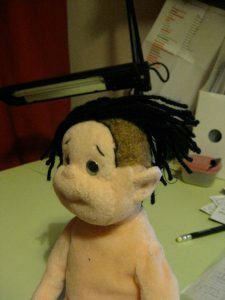 I made the game quite a while ago (and posted about that), – but I had to sew hair on the Timothy Pope doll and make him some clothes, which was a fiddley job. The other characters were scanned from the book and made into ‘lollystick puppets’. Luckily I had some shark print fabric in my cupboard, which is just perfect for this Storysack! 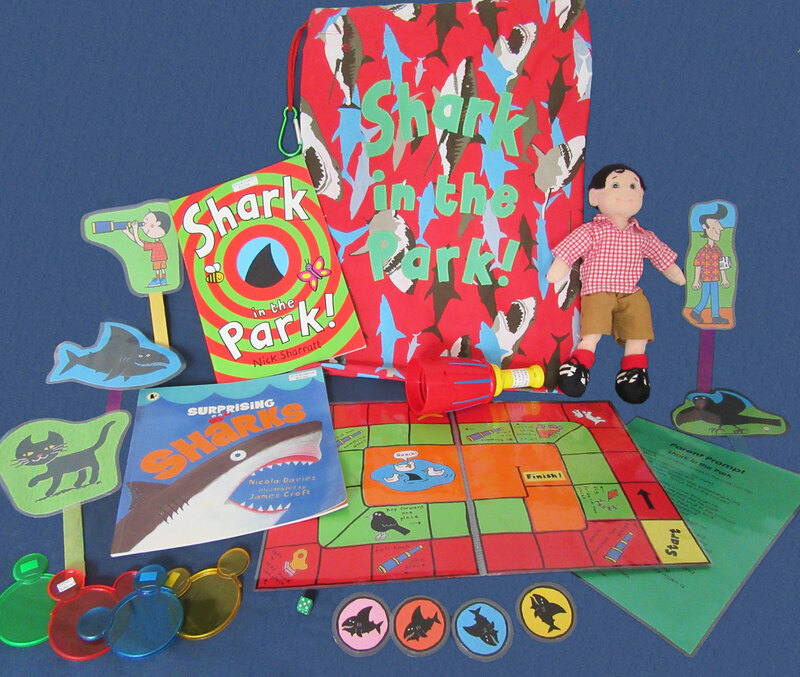 This entry was posted in Storysacks, Studio posts and tagged Lisa Bennett, Shark in the Park Storysack, Storysacks, Storysacks Library on July 14, 2017 by lisabenn.